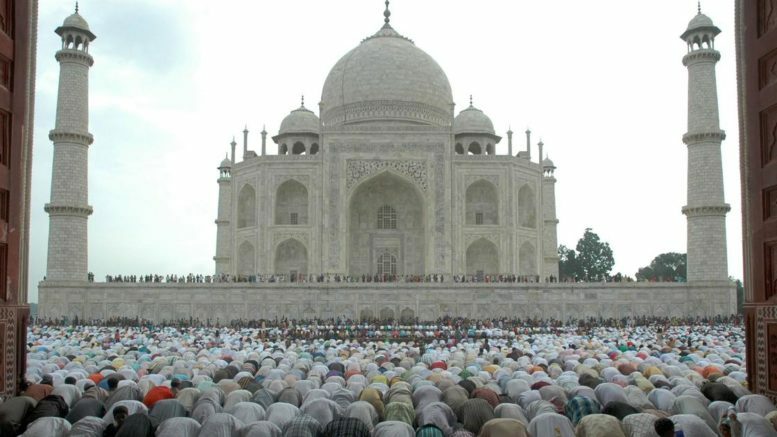 The Archaeological Survey of India has prohibited Muslims from offering namaz at the mosque located inside the Taj Mahal complex in Agra on all days except Fridays, reported The Times of India. ASI officials on Sunday allegedly locked the tank used by devotees to wash before offering namaz. ASI (Agra circle) Superintending Archaeologist Vasant Swarankar told the newspaper that the move was “as per the order of the Supreme Court”. “Namaz can only be offered on Fridays and that, too, by local residents only,” he added. The Taj Mahal is closed on Fridays to the general public. The city’s residents are allowed to offer namaz at the mosque between noon and 2 pm on Fridays after showing identity proof. On other days, visitors with an entry ticket are allowed to offer namaz at the mosque as well. In January, the Agra additional district magistrate had barred non-residents of the city from offering prayers at the mosque citing security reasons. Syed Ibrahim Hussain Zaidi, the president of Taj Mahal Masjid Management Committee, had challenged this order in the Supreme Court, calling it illegal and arbitrary. Zaidi said there was no reason to prohibit residents from offering namaz on other days and accused both the state and central governments of having an “anti-Muslim” mindset. He said he would meet ASI officials to discuss the matter. Be the first to comment on "Archaeological Survey of India has banned Muslims from offering prayer at the Taj Mahal except on Fridays"